The holidays can get hectic – at work and at home. You may be frantically working to meet your goals and numbers before the end of the year. You may be caught up in the multiple projects adding up for next year. And, at home, you’re busy cleaning the house, running last minute errands and preparing for family visits. But, STOP! The holidays are about enjoying time with your loved ones. And, though, it may seem impossible to even find that time for them, or worse, enjoy that time with them, we’re here to help you out. Here are three tips to complete everything, and still enjoy time spent with those you care about. Before you do anything, calm down. Stress and anxiety are productivity killers. If you want to successfully accomplish everything on your to-do list, you must relax. Understand, there will always be work to do, but there are only so many hours in a day, and so many chances for quality time with your friends and family. So, in your relaxed state, jot down everything you must complete before the end of the day. If something can be pushed until next week, allow yourself to let it go for now. And, overestimate the time it will take to complete a task, since there are always going to be distractions. If your daily to-do list exceeds the hours in a day, ask for help. Find out what your co-workers are working on, and if it’s something that can be pushed back, or if you can divide your to-do lists to help each other. For your personal shopping needs, take your spouse, kids or a friend with you. This allows you to get things done while spending time with them. 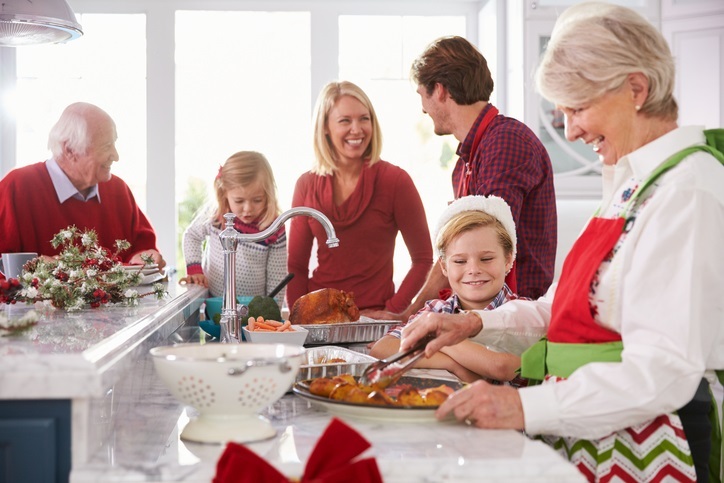 Cleaning the house or cooking can also require extra help – Ask your relatives to bring a dish, instead of cooking the entire meal yourself, or depending on your child’s age, ask them to help tidy the house, do the dishes, etc. Hopefully with these tips, even if an emergency does arise during the holiday weekend, you are able to spend some time with those you love. Happy Holidays from the DKI Team!